William John Tabar, age 87, passed away peacefully in his sleep on February 4th, 2019 with family members by his side. He was born February 24, 1931 in Cleveland, Ohio, son of John and Katherine Piskura Tabar. He graduated from Cleveland West High School where he met the love of his life, Bertha Ann Sadlon. They were married July 12, 1952. Bill obtained his bachelor’s degree in Chemical Engineering from Pennsylvania State University and his master’s degree in Chemical Engineering from West Virginia University. He was a 1st Lieutenant in the Marine Corps and stationed at Quantico, Virginia and Miami, Florida. He was employed as a chemical engineer in the plastics division at Union Carbide. He was vice president of Rochester Button Co. in Rochester, New York. Bill moved his family to Boulder, Colorado where he assumed the position of president of AMF Head Ski and Tennis. He then accepted the position of Chief Operating Officer at Scott USA in Clearfield, Utah. He then founded his own company, VRUtah Business Brokerage in Ogden in 1981, and the remaining Utah franchises in 1983. He served as President of the VR Franchisee Association and as a member of the Board of Directors. 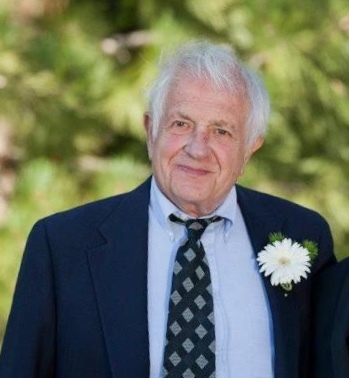 He enjoyed skiing, hiking, dancing, classical music, and the arts. Bill was a volunteer at the 2002 Winter Olympics in Utah. Survivors include three daughters and one son: Susan T. Allard and husband Phil, Apex, NC; Sharon Dollarhide, and husband Michael, Reno, NV; Sandra L. Higley, Ogden; William J. Tabar Jr. and wife Stacey, Park City, six grandchildren: Graham Dollarhide, Nicole Allard, Laura Bebout, Denise Allard Trout, Montana Tabar, and Alta Tabar; and five great-grandchildren. He was preceded in death by his wife, Bertha Ann Sadlon Tabar; second wife, Martha Lockhart Tabar; Keith Higley, son-in-law; great grandchild, Sam Lee Bebout, and brother, Thomas Tabar. Funeral services will be held at 1:30 pm on Saturday, February 9, 2019 at Leavitt’s Mortuary, 836 36th St., Ogden, UT. A viewing will be held prior to services from 12:00 – 1:15 pm. The family wishes to acknowledge the loving care provided by granddaughter Laura and to thank the care givers at Hidden Valley Memory Care Unit. In lieu of flowers, the family requests donations be made to Wounded Warriors, (877)-team-wwp.